WARNING: GPT (GUID Partition Table) detected on '/dev/sdb1'! The util fdisk doesn't support GPT. Use GNU Parted. And I don't know what to do...please help me! I am new to all this. You can use mkusb to restore a cloned USB boot drive to a standard storage device with an MSDOS partition table and a FAT32 file system. I think this is what you mean by format. 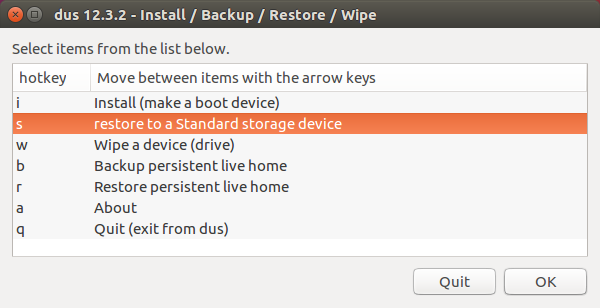 If you need some other formatting, other partition table and or partitions with other file systems, you start with mkusb to remove data that might cause confusion, and use gparted afterwards. Create partitions with file systems with the intuitive user interface. if still problems, try according to this link, that might help you analyse the problem and find a solution. Not the answer you're looking for? Browse other questions tagged usb format or ask your own question.